Want to chat in 29 languages? 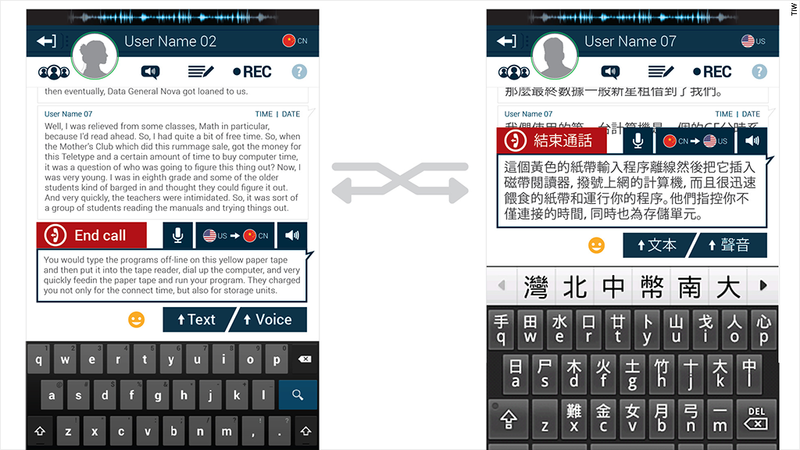 Droid Translator can translate phone and video conversations in 29 languages. But the app -- created by a start-up based in Ukraine and registered in the Czech Republic -- still needs more work. During a CNNMoney test interview with creator Alexander Konovalov, the app was clunky. Nevertheless, it compared favorably in terms of speed with traditional interpretation, producing only a few translation errors along the way. Konovalov answered questions in Russian posed by CNNMoney in English. He said he was inspired to create the app because he wanted to be able to speak with people all over the world. "We want to create a universal means of communication between people," he said. Konovalov has a team of 12 working on developing the technology, including five full-time programmers. "Over the next year, we want to have over 10 million users throughout the world," he said. Konovalov's company TIW Innovations says the app has been downloaded 120,000 times since it was launched in June. Droid Translator competes with a variety of other translation apps and services, such as iTranslate, but Konovalov says no other service can operate in as many languages via so many different call formats. Google (GOOG) Translate can process text and spoken words in 80 languages, but does not have an option to translate voice or video calls.